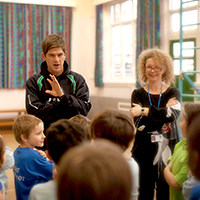 With a long history of providing high quality curriculum and extra curricular activities we deliver more than 20,000 activity sessions each month to schools across the UK. This amounts to more than five million visits a year, each one enriching the curriculum in every one of the thousands of schools we work in partnership with. Our delivery, training and ethos is carefully planned with the help of our Educational Specialist, who has developed sports leadership strategies in partnership with the Association of Physical Education, the Youth Sports Trust, Sport England and Sports Coach UK amongst others. In addition we are an accredited training provider, meaning we deliver qualifications and skill the work force. 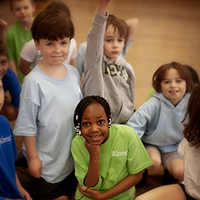 As a founding member of Ukactive Kids we continue to strive for excellence in the schools sector and have been actively campaigning to raise the standards of delivery within a school environment for every child and every school, whether we are the deliverer or not. All schools seeking an outside partner will want to be assured that they are getting the best possible service. Each member of our team is trained to exacting standards. In fact we have national accreditation to coach the coaches/instructors. We help set the standard for the industry and meet all of the following criteria. Public Liability - £5 million minimum. Product Liability - £5 million. Employers Liability - £10 million. Professional Indemnity - £5 million. Annually assessed as part of appraisal and performance management with termly professional development.